Tune into 88.3FM (WPPB Peconic Broadcasting) for Realife with John Cristopher from Brown Harris Stevens. 5:30pm: Cia Comnas, Executive Managing Director of Brown Harris Stevens discusses the "hot" areas in the Hamptons and what it takes to be a successful agent in the Hamptons. 5:40pm: Greg Heym, Chief Economist for Terra Holdings enlightens us about the recent release of data for the numbers in the City and here in the Hamptons. 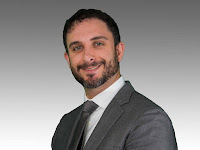 5:50pm: Andrew Lieb, Esq., owner of Lieb at Law and Lieb School wraps up Realife as he shares some of his secrets that a buyer should know before they purchase a home in the Hamptons.